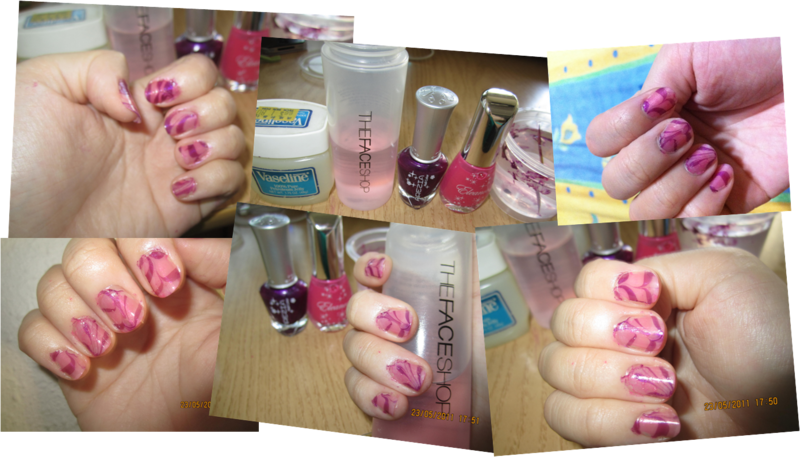 About a week ago, I stumbled across a blog site that showcased different nail colours and varies nail colour brands. The site also showcased nice water marbling medicure! So what is water marbling? 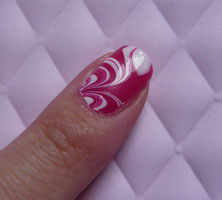 I was fascinated by the video tutorial on water marbling. The lady in the short clip make the all process seems easy, so I wanted to try it out on my own. The lady in the video had sticked scotch tape around the skin of her cuticles to prevent the polish stain around the skin of the nail. 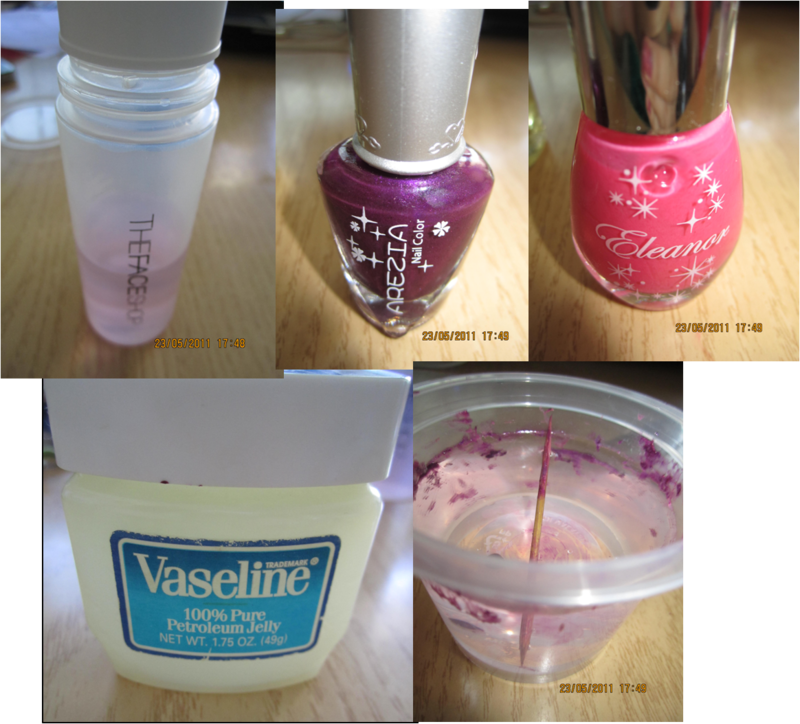 But I feel it’s a little troublesome, so I browsed through other videos on YouTube to see what other people use or do to prevent stain of the skin around the nails in the process. 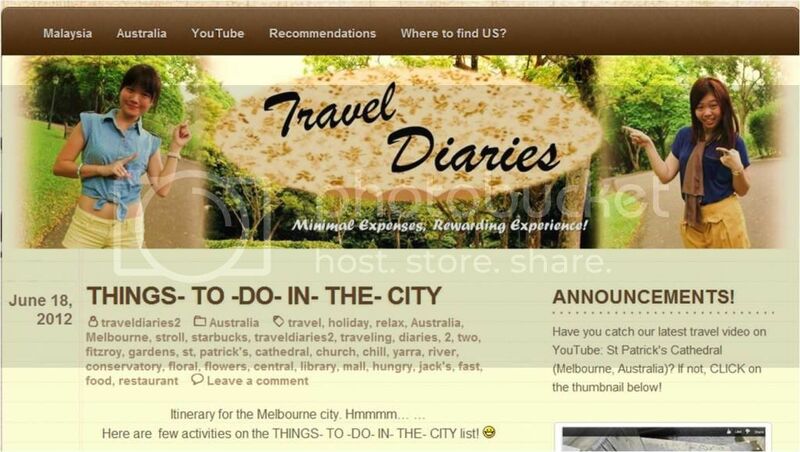 As mentioned in the video tutorial, use filtered water, so the polish can be spread easily. Always clean the surface of the water after using it. By cleaning, I mean drip a layer of polish and wait for it to dry. Remove that layer. (As seen in the first few seconds of the clip) Cleaning the surface would make the polish spread easier- by my experience. If cleaning doesn’t help, maybe you might want to change a new cup of water. Change the toothpick after it’s stain too much with the polish, the dirty toothpick may hinder the pattern making. After you lift your finger from the water, quickly use a paper towel to wipe off the excess polish on the skin around the cuticle before it drys. With the Vaseline on, it make removing much easier. If you have scotch tape on, just peel it off. 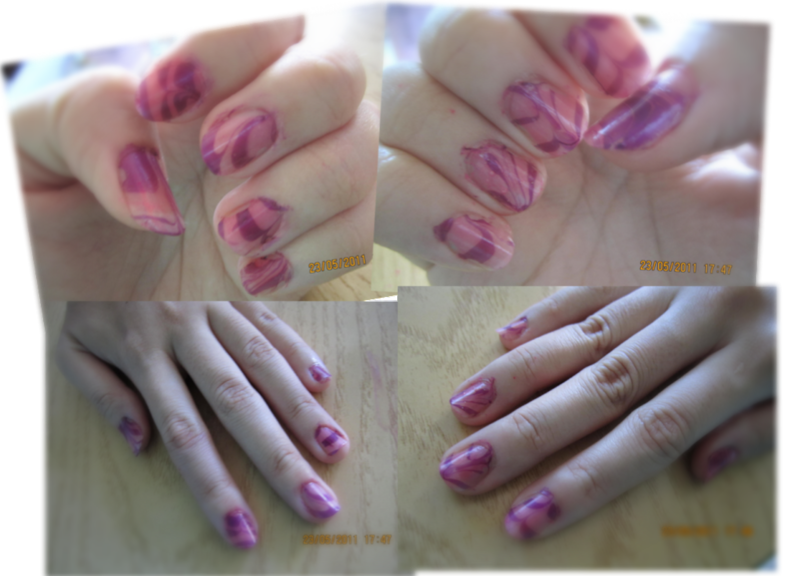 Water marbling can be fun! A nice DIY medicure that you can do it at home with your girlfriends or sisters. Just remember to have lots of paper towels at the side, because you are definitely going to need them. I know I did!